Hawaii is a haven for exotic tropical fruits, not the least being the Hawaiian Passion Fruit, or Liliko'i, as we call it here. 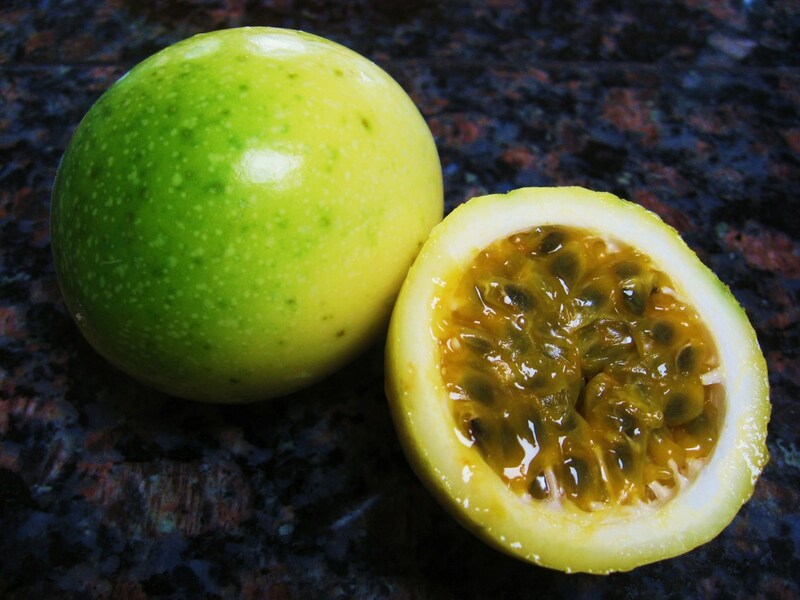 The lilikoi is a yellow variety of passion fruit, not the purple kind that grows in South America or Australia . 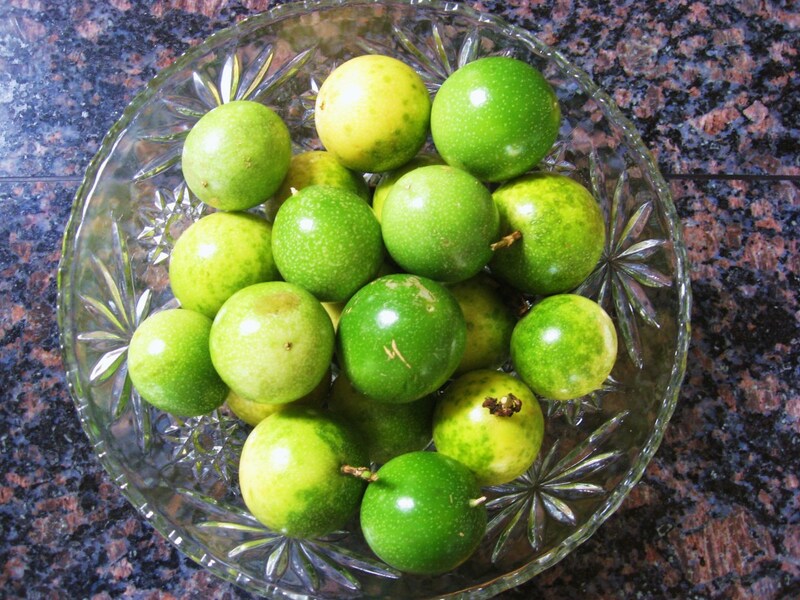 The lilikoi tastes great all by itself, but it can also be used in cooking savory dishes, in desserts, or even in martinis and margaritas. 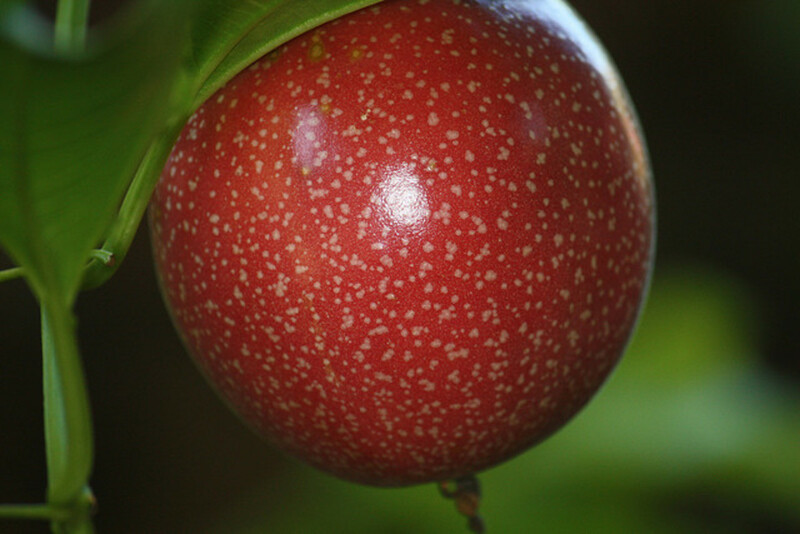 The lilikoi is round or oval shaped, usually a few inches in diameter, and grows on a climbing vine. 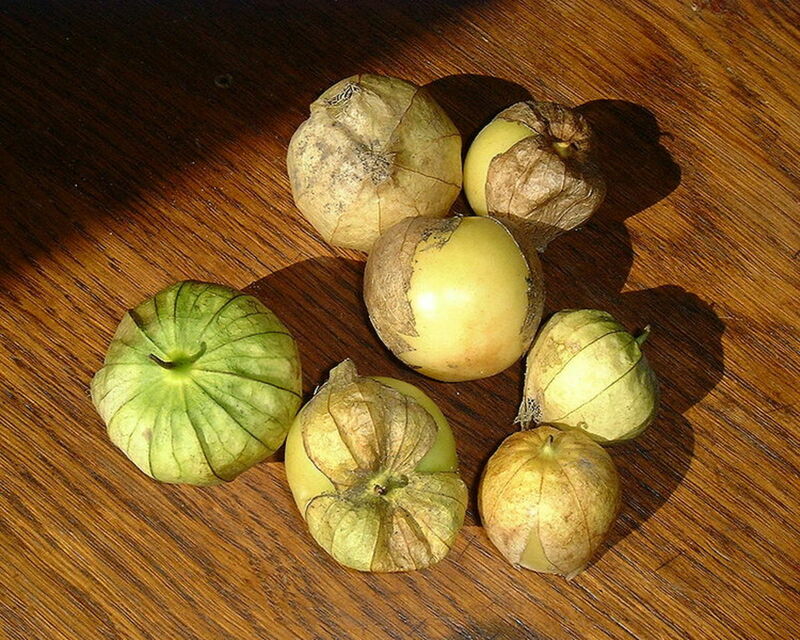 The waxy hard exterior is green when unripe, but turns yellow as it ripens. After being picked, a passionfruit can be eaten once it turns yellow, but it will be sweeter if it is given time to wrinkle. A sharp knife is needed to cut through the thick skin. Inside lie the dark seeds which are covered with the yellow pulp. These seeds are edible if swallowed whole with the sweet pulp. Another way to enjoy the lilikoi is to eat it together with papaya. 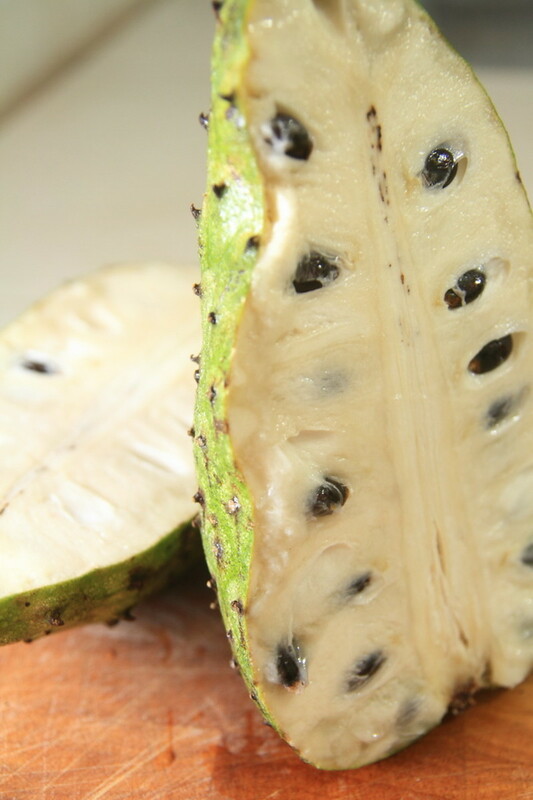 Scoop out the seeds of a papaya half and fill in the empty center with the passion fruit seeds. It's a delicious combination! 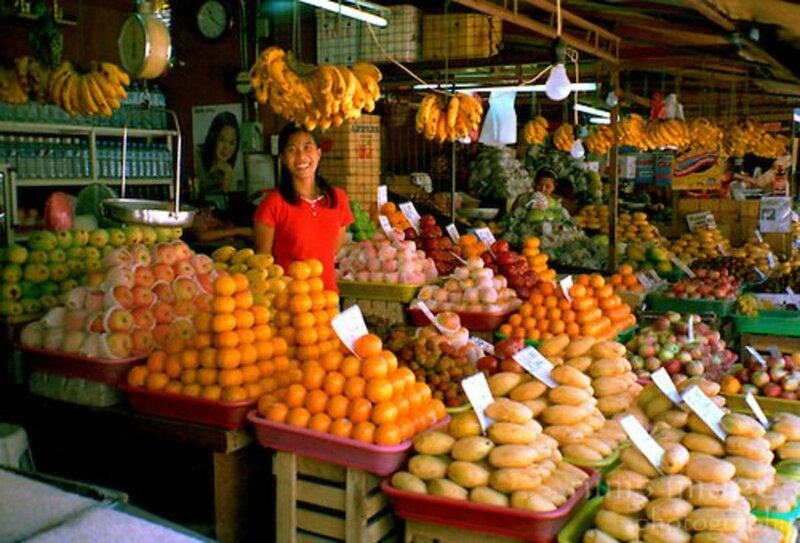 Although the passion fruit grows so well in Hawaii, it can be difficult to find in grocery stores. 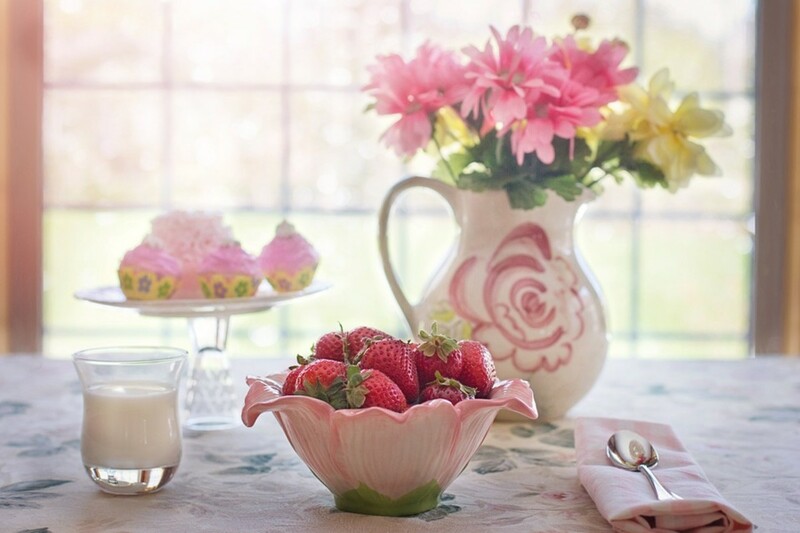 Local vines produce an abundance of fruit that is often shared between neighbors and friends. Abandoned vines can also be found, and farmers markets usually carry lilikoi when in season. 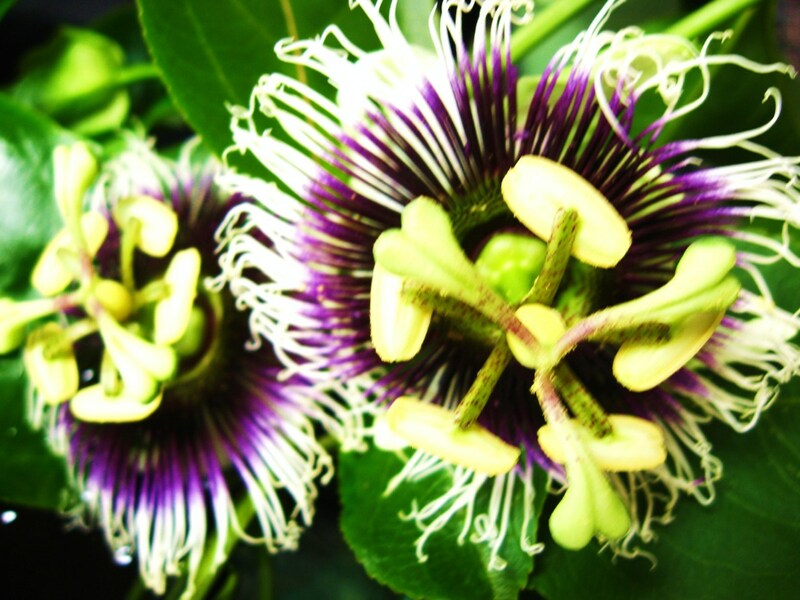 The passion fruit supposedly gets its name from the flower of the vine, which symbolizes the Passion of the Christ. The tendrils represent the whips used against Jesus, the ten petals and sepals stand for the ten faithful disciples, the fringe represents the crown of thorns, the three stigmas are the nails, and the five anthers are the wounds. The flower really is gorgeous and looks like it came out of a fairy-tale jungle. 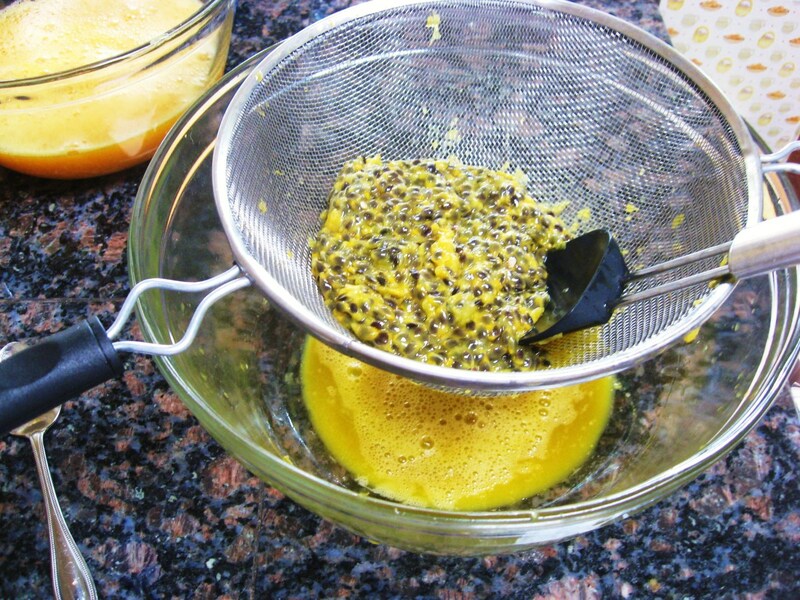 To extract the passion fruit juice from the seeds, you will need a bowl, a colander or sieve, and a rubber spatula or spoon. Scoop the pulp and seeds out of the fruit and place in strainer over a bowl. Using the spatula, stir the fruit around and press through the sieve. In the bowl you will collect the orange-yellow lilikoi juice. 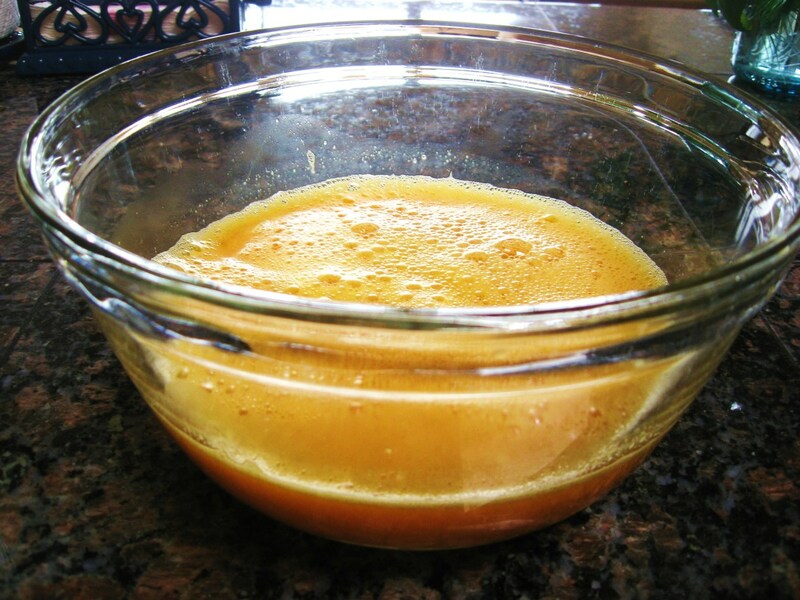 This juice can be used in a number of recipes from dressings to desserts. 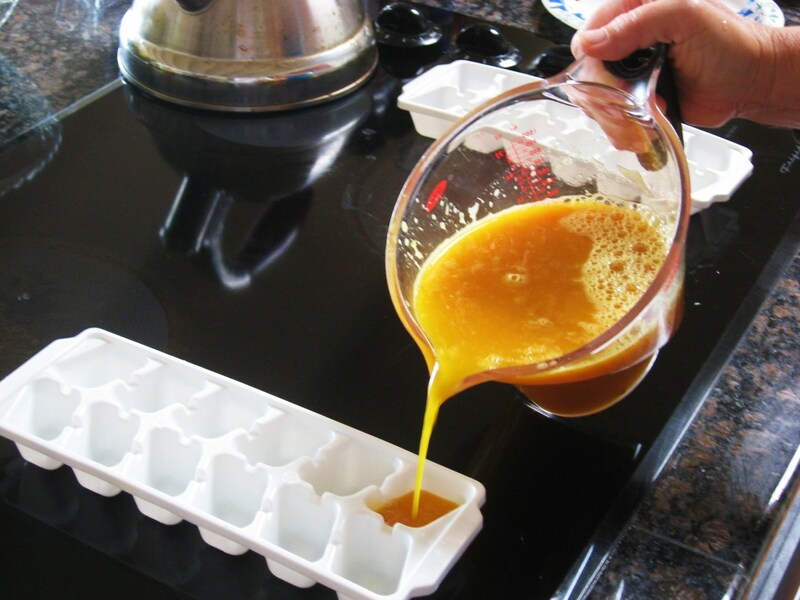 You can use the lilikoi juice right away, but if you have a number of passion fruit to juice, you may want to freeze it. 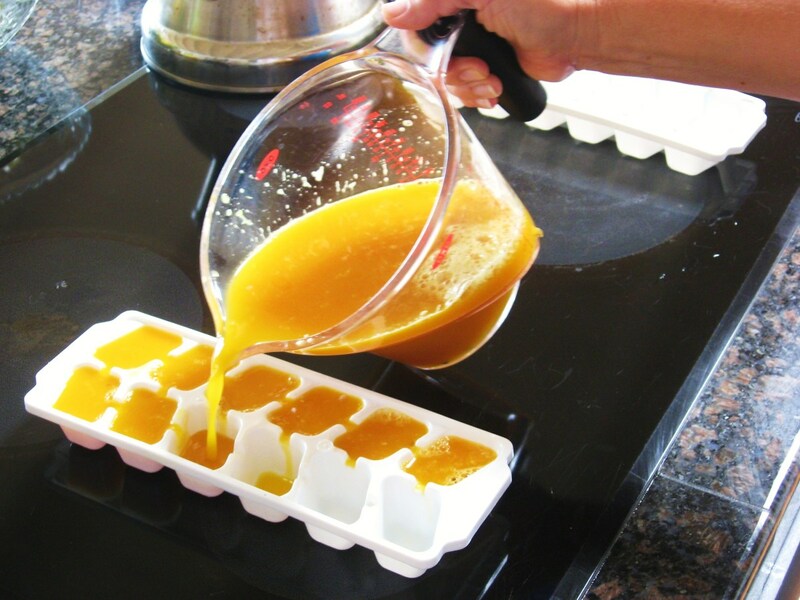 Pour the juice into plastic ice cube trays, making sure the juice is stirred completely first. 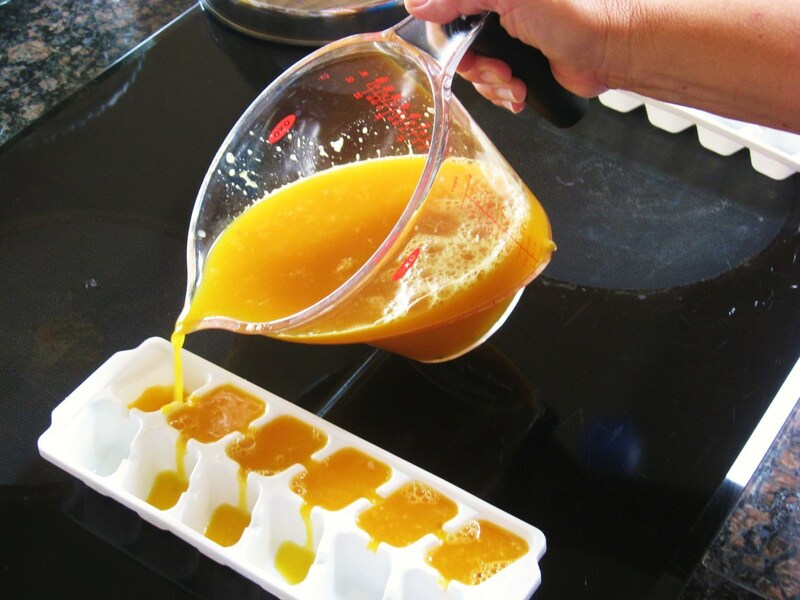 You can measure how much juice fits into each ice cube if you want to be precise. Mix 8 oz. sugar syrup (classic syrup) and 4 oz. water in small saucepan. Bring to boil. Add 4 oz. lime juice and 4 oz. lilikoi juice. Bring back to boil and boil 5 minutes. Remove from heat and cool. Stir in lime zest. Strain into a container and refrigerate. Shake together 3 oz. vodka and 1 oz. lilikoi cocktail mix with ice. 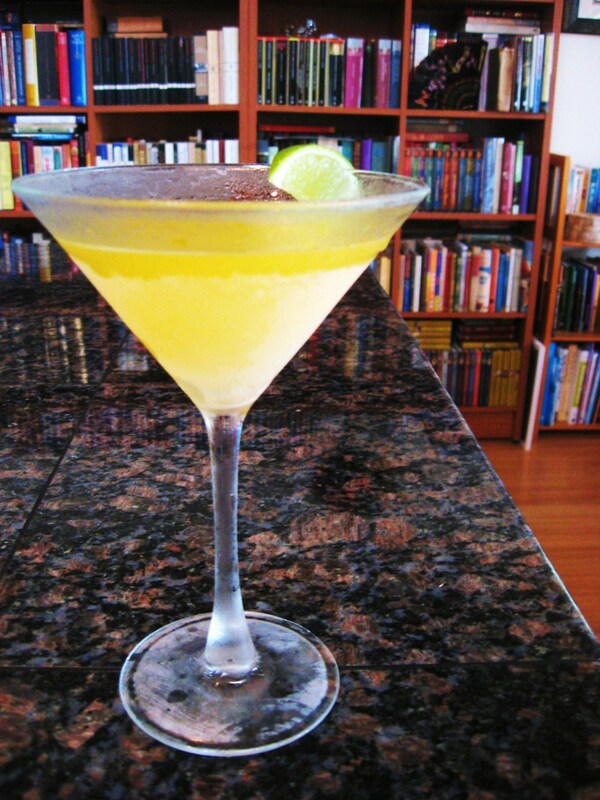 Serve in chilled martini glass and garnish with a lime wedge. Follow my blog about life in Hawaii! If lilikoi is not available use the passion fruit liqueur, Alizé. It's a French liqueur. Then rim the glass with Li hing mui, dried plum. Magnifique! crystolite, thanks for coming by! Informative and educative hub which is well shared. 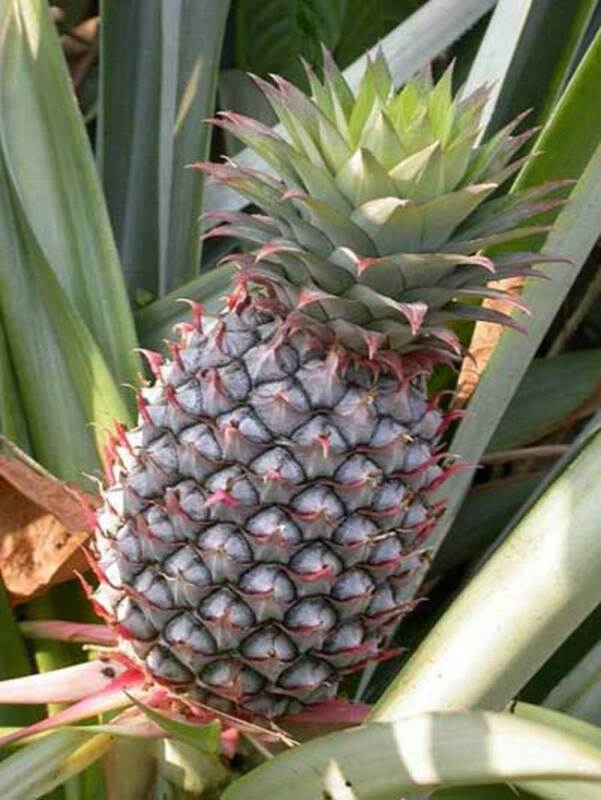 Hi Entourage, lilikoi is pretty delicious and very nutritious! 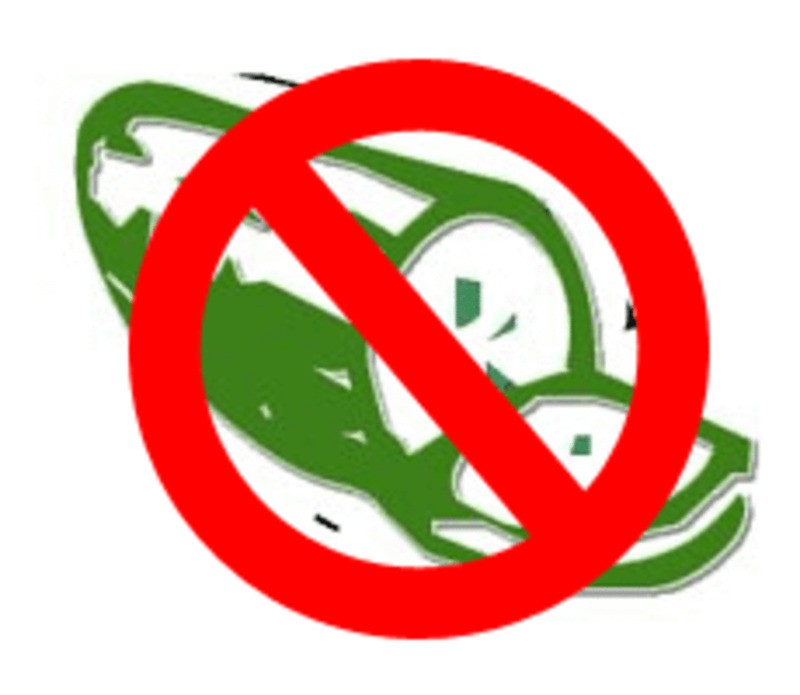 I haven't ever seen them on the mainland however, so that's a shame. Maybe they sell passionfruit juice? Wow I've never tried Lilikoi before but it sounds amazing. If only I lived in Hawaii or if I could find them within the states during a certain time of year that would be great. I'm currently looking for rich fruits like passion fruits and pomegranates because I heard they work good as anti-inflammatory nutrients and I recently just injured my knee. Great Hub! nibleful, thanks for stopping by... I think the flower is so gorgeous and very exotic! Jane, you're very welcome - it is pretty interesting. I had thought Passionfruit was named for something like a passionate feeling. I had no idea that's where the name for passionfruit came! What a neat concept. Thanks for sharing. I'm all for that drink right about now. . .but I don't even have any beer.